King Minos is one of the most famous kings in Greek mythology, so famous indeed, that a whole civilisation, the Minoan civilisation was named after him. The archaeologist Arthur Evans was working in the island of Crete when he came up with the name, and it was on Crete that King Minos was once said to have ruled. The story of King Minos can be said to have begun with the famous story of the Abduction of Europa by Zeus. For in this tale, Zeus, in the form of a bull, took Europa from the shoreline of Phoenicia, and landed with her upon the island of Crete. 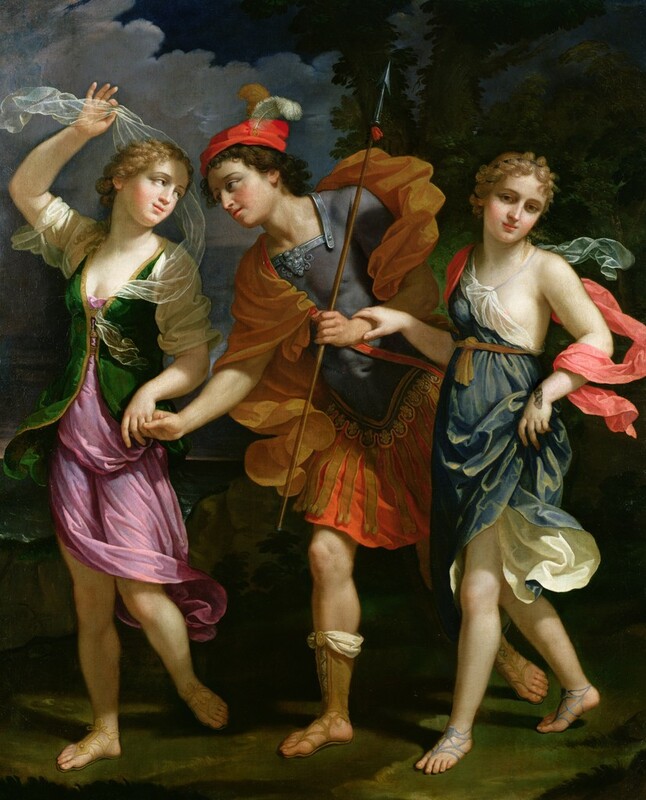 There, on Crete, beneath a Cypress tree, Zeus would have his way with the beautiful Europa, and from the brief liaison, three sons were born to Europa, Rhadamanthys, Sarpedon and Minos. Europa would be left behind upon Crete, but Europa prospered for she wed Asterion, the king of Crete, and Asterion would adopt Europa’s children as his own. Asterion would eventually die of course, and then the question was posed about who would succeed Asterion as the king of Crete. Some tell of how Rhadamanthys was the successor but more famously Minos was said to have succeeded to the royal throne, after a sign was given that the gods favoured him; after Minos had prayed to Poseidon. This sign came in the form of a magnificent white bull which emerged from the sea, and with the gods on his side, there was no question that Minos was to become king of Crete. To ensure that there was no future question about the legitimacy of his rule, Minos expelled his brothers from Crete, and so Sarpedon was later to be found in Lycia, whilst Rhadamanthys became a king of Boeotia. The rule of King Minos upon Crete was said to have been long and prosperous, and it was said that the reign of King Minos was being guided by the hand of Zeus himself. During the rule of Minos the importance of Crete increased greatly, and Minos built up the island’s navy so that it was amongst the most powerful military forces in the ancient world. The rule of King Minos was also noted for the introduction of a fair and just legal system which treated all citizens the same; indeed, so just was the laws of Crete that Minos was consulted by other city states, including Sparta and Corinth, about the re-codifying of their own systems. King Minos would marry the sorceress Pasiphae, a daughter of the sun god Helios, and sister of Aeetes, Perses and Circe. Pasiphae would provide many children to Minos, including the sons, athletic Androgeus, the Argonaut Deucalion, the future king Catreus, the resurrected Glaucus, and possibly the lustful Molus. Minos also had several daughters by Pasiphae, including Acalle, Ariadne, Phaedra and Xenodice. It was said that Minos was far from being monogamous, and even before he had become a father for the first time, Pasiphae had recognised her husband’s wandering eye, and had given him a potion that caused his sperm to turn into deadly scorpions. ​Thus, Minos would kill any lover that he slept with, although this also meant that he could not father any successors. One day though, Procris of Athens, fleeing from her own shame, arrived in Crete, now Procris knew of a way to undo the potion of Pasiphae, and so after drinking a potion made from Circaean root, Minos was back to normal. Procris was presented with Laelaps, the hunting dog, and the javelin, that had previously been given by Zeus to Minos’ mother Europa. Minos would father other children by other women. By the Naiad nymph Pareia, Minos would father Chryses, Eurymedon, Nephalion and Philolaus, but these sons of Minos were killed by Heracles upon the island of Paros, after these sons killed comrades of the demi-god. By Dexithea, Minos was father of Euxanthius, a future king of the island of Ceos; and by Androgeneia, he had Asterion, the man who fought alongside Dionysus during the Indian War, as leader of the Cretans. Pasiphae herself was not entirely faithful herself, but this was down to the will of the gods and the error of her husband, rather than a flaw in her own character. Minos was expected, by Poseidon, to sacrifice the white bull that had been sent by the god, but taken by the magnificence of the beast, King Minos substituted a lesser beast in its place. So, Poseidon, transposed the love Minos had of the white bull onto Pasiphae, who now had a physical attraction for the bull. With the assistance of Daedalus, the master craftsman who was in the servitude of Minos, Pasiphae was able to sate her urges, but by doing so, Pasiphae became pregnant. A half-boy, half-bull child was born to Pasiphae, a boy that would become known as the Minotaur, the “bull of Minos”. The white bull would ravage Crete, but would eventually be removed by Heracles during one of the hero’s 12 Labours. King Minos was famous for receiving tribute from Athens during his reign, a tribute which took the form of live captive Athenian youths and maidens. It was a tribute that came about because of the death of Androgeus, Minos’ son, whilst in Athens. The common story told of the death of Androgeus has the son of Minos murdered by competitors of the Panathenaic Games after Androgeus had bested them in each competition held. Some say though he was murdered on the orders of King Aegeus, for he feared that Androgeus was becoming involved in a plot to overthrow him. Or else he was not murdered but was killed by the Marathonian Bull after Aegeus had sent the Cretan prince against the beast. 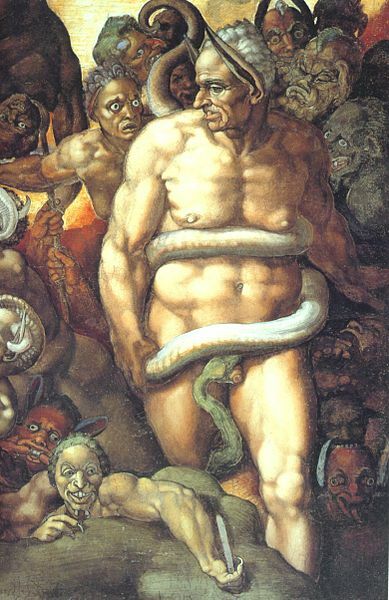 In any event, the death of Androgeus saw Minos go to war seeking retribution. Ultimately, Minos was successful during the war against Athens, although perhaps the most notable event of the war occurred in Megara, a nearby ally of Athens. For there, ​King Nisus resided, a man made immortal by the presence of a purple lock of hair upon his head. Nisus’ daughter, Syclla, fell in love with Minos, and as an act of affection, removed the lock of hair from her father’s head, and so Megara fell. Minos though wanted nothing to do with the treacherous Scylla, and so she was left behind as the Cretan fleet sailed on; Scylla drowned as she attempted to swim after King Minos. Now in a position of subservience to Crete, Minos forced Athens to send seven youths and seven maidens to Crete each year (or every nine years). These young Athenians would be used in sacrifices to the Minotaur, for the bull of Minos was now a cannibalistic monster, locked away in the labyrinth beneath King Minos’ palace. Having wanted nothing to do with the treacherous daughter of King Nisus, the downfall of King Minos would actually start with the treachery of his own daughter, Ariadne. After several boat loads of youths had been sent from Athens to Crete, Theseus would request that he be sent as one of the next batch of sacrifices. When he arrived on Crete, Ariadne fell in love with him, and enlisted the help of Daedalus to aide Theseus in overcoming the labyrinth and the Minotaur. With sword and string, Theseus killed the bull of Minos, and then with the other Athenians and Ariadne in tow, Theseus fled from Crete on the boat that had brought him to the domain of King Minos. The treachery of Ariadne angered King Minos, but if anything, Minos was even angrier about the role undertaken by Daedalus. Minos though would not kill his master craftsman, but instead, Minos locked Daedalus and his son Icarus in a tall tower. Daedalus and Icarus soon escaped from the tower, flying away from Crete. Minos set off in pursuit of Daedalus, something he had not done with the fleeing Ariadne, for King Minos did not want to lose the skills of Daedalus. This pursuit would prove to be the death of King Minos. A pursuit of Ariadne would have been simpler, for the Cretan princess had been abandoned by Theseus on Naxos, but instead Minos pursued Daedalus to the island of Sicily. Daedalus had found sanctuary in the court of King Cocalus, but the artisan was tricked by Minos into revealing his presence, and so Minos demanded of Cocalus the return of Daedalus. Sicily could not match the military might of Crete, but Cocalus, and his daughters, did not want to give up Daedalus, and so whilst Minos took a bath, the Cretan king was killed with boiling water. The body of Minos would be returned to Crete, but the story of King Minos did not end there, for it was said that King Minos would be made one of the three Judges of the Dead in the Greek afterlife. To honour his son, Zeus was said to have made Minos the third judge of the dead, alongside Aeacus and Rhadamanthys. Aeacus would judge those from Europe, Rhadamanthys those from Asia, and in any dispute, Minos would have the final say. Zeus of course had little saying in the running of the Underworld, after all the dead was the responsibility of Hades, not Zeus, but, nevertheless, Minos was said to reside for eternity in the Underworld. Throughout history many people have struggled to reconcile the apparent long life of King Minos, and also the difference in character between the king who created fair laws, and the cruel king who demanded human sacrifice, thus later writers would often say that there were in fact two King Minos’ of Crete to rationalise the differing personalities. The “Good” King Minos was the son of Zeus, who installed the Cretan legal system. This King Minos had but one son, a son called Lycastus, who was then succeeded by his son, the “Bad” King Minos, and it was in his time that all of the famous events took place. Therefore it was the first King Minos who joined Aeacus and Rhadamanthys as a Judge of the Dead.